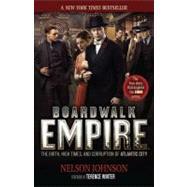 Providing the inspiration and source material for the upcoming HBO series produced by Academy Award-winning director Martin Scorsese and Emmy Award-winning screenwriter Terence Winter, this riveting and wide-reaching history explores the sordid past of Atlantic City - forever a freewheeling town long-dedicated to the fast buck- from the city's heyday as a Prohibition-era mecca of lawlessness to its rebirth as a legitimate casino resort in the modern era. A colorful cast of powerful characters, led by "Commodore" Kuehnle and "Nucky" Johnson, populates this stranger-than-fiction account of corrupt politics and the toxic power structure that grew out of guile, finesse, and extortion. Atlantic City's shadowy past - through its rise, fall, and rebirth - is given new light in this revealing, and often appalling, study of legislative abuse and organized crime. Nelson Johnson practiced law for 30 years, during which time he was active in Atlantic City and Atlantic County politics. He lives in Hammonton, New Jersey. Terence Winter is an Emmy Award–winning screenwriter for his work on The Sopranos. Along with Martin Scorsese, he is currently an executive producer for the HBO series Boardwalk Empire. He lives in New York City. Terence Winter is an Emmy Award–winning screenwriter for his work on The Sopranos. Along with Martin Scorsese, he is currently an executive producer for the HBO series Boardwalk Empire. He lives in New York City.